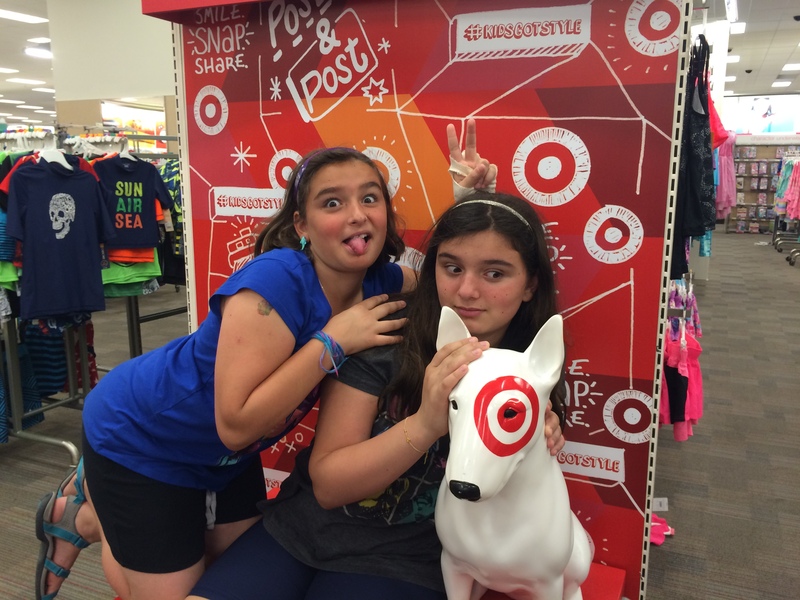 Wordless Wednesday: WE Survived Target! Today the girls and I survived a shopping trip to Target. They are leaving for a month long camp adventure in 10 days and need a few last minute items. So, off to Target we went. No one was injured or left behind. We made it home in one piece. The psychological damage will probably not be permanent. I still forgot the damn batteries. Happy Wednesday and Happy Canada Day to all my friends and family in the Great White North, Eh!